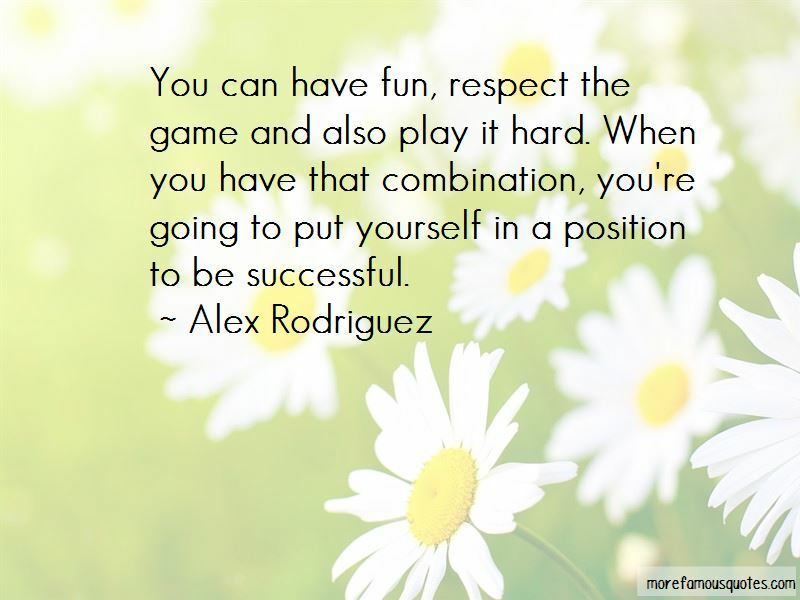 Enjoy the top 57 famous quotes, sayings and quotations by Alex Rodriguez. Always follow your dreams, don't let anyone tell you that you can't be something. Looks aren't the number one thing. They have to have class, intelligence, then looks. If I was the ugliest SOB in the world it would be a lot easier. Whether I hit .260 or .320, the bottom line here is to win. I believe a champion wins in his mind first, then plays the game, not the other way around. Well, Milwaukee is a special place to me. It's where I started my career playing in Appleton. Getting cheered on the road is something I haven't been use to. Some things are meant to be and if it was, you will know it. We (Derek Jeter and I) always talk about getting old, gray, and fat when our careers are over and just having a good time. He's like me. He wants to have a good time and be a good person. It's a weird situation for us. It's just like we're looking in the mirror. the only difference is I'm on the West Coast and he's on the East Coast. I'm fighting for my life, I have to defend myself. If I don't defend myself, no one else will. I only look forward. I can't get all caught up in what I've done. 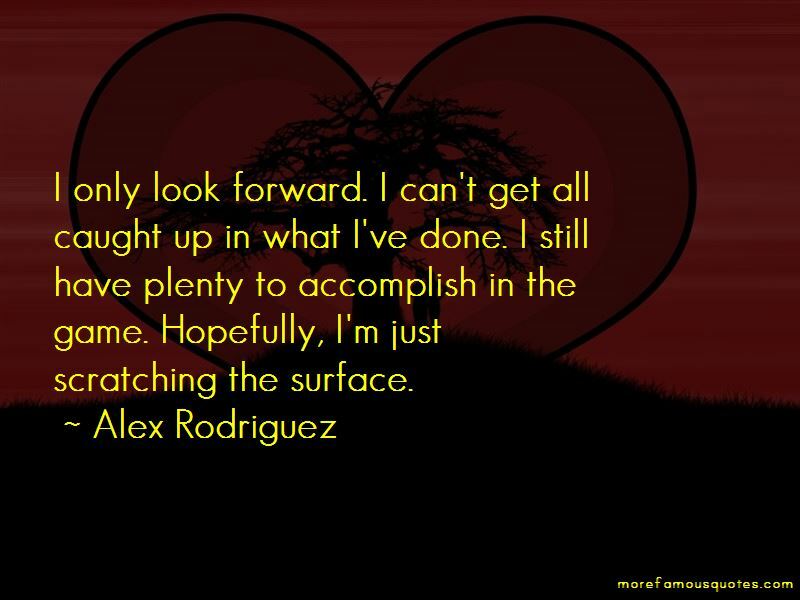 I still have plenty to accomplish in the game. Hopefully, I'm just scratching the surface. I kept thinking my father would come back, But he never did. I don't expect people to feel sorry for me. My teammates get more upset about the criticism and booing than I do. 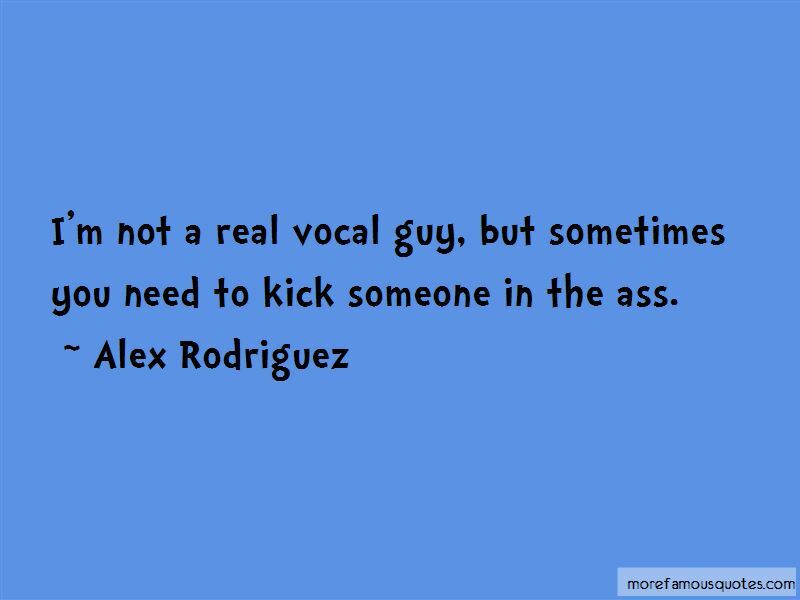 Want to see more pictures of Alex Rodriguez quotes? 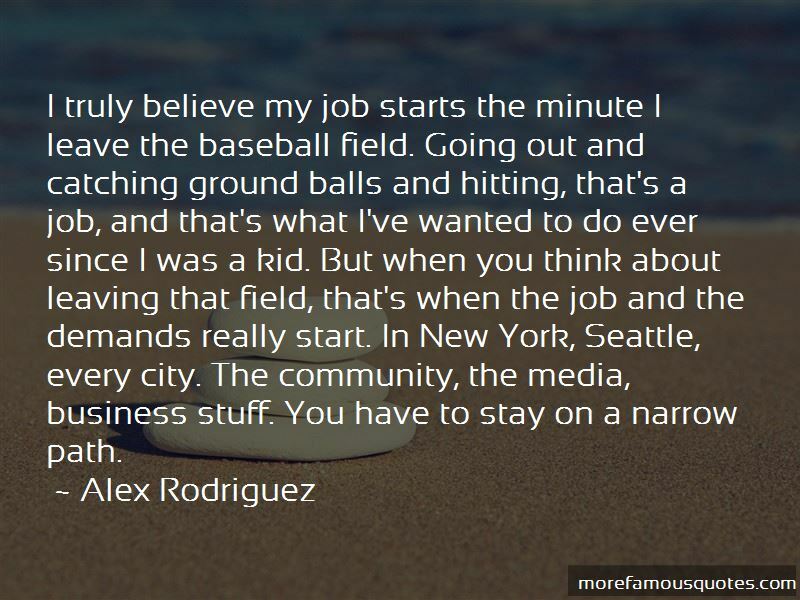 Click on image of Alex Rodriguez quotes to view full size.